When you want your pet to look their best, call us for dog grooming, nail trimming, and more at Carolina Paws in Columbia, South Carolina. Dog grooming clients throughout Richland County have been enjoying their Dog Grooming experience here since 2009, receiving a full range of pet grooming services, including spa, medicated, and fur-whitening washes, as well as ear cleaning, nail clipping, teeth cleaning, and skin and coat treatments. 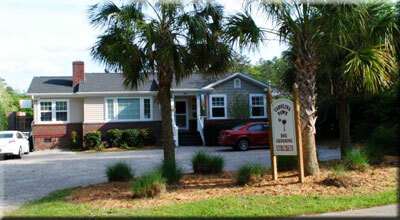 We also offer dog boarding and dog day care services. My name is Kimberly Power, I started Carolina paws over six years ago. My bather and I will treat your dog as if it were our own. My goal is to make every dog feel at home and relaxed. Call or stop by and I'll explain our services and pricing and make sure you are comfortable before you leave your pet for grooming. All pets are handled with kindness and respect. I use no tranquilizers only tender positive techniques. My rates are reasonable and we have specials. Puppies first grooming is always at a discount price. My goal is to provide kind loving treatment of our pets, high quality grooming of your special friends at prices allowing you to pamper them on a regular basis. We use the best quality shampoos. 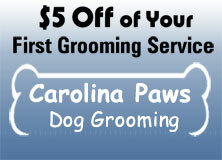 Schedule an appointment for your dog grooming needs here at our Columbia, South Carolina, pet salon. 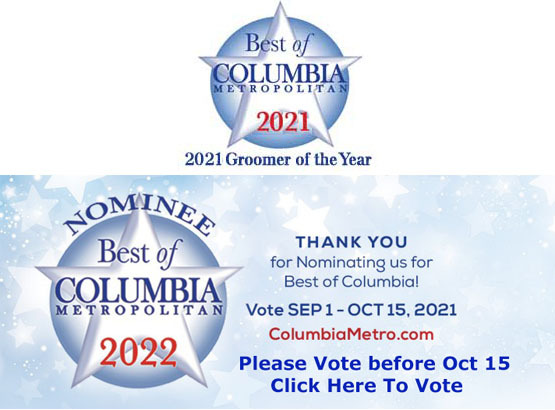 Your Preferred Dog Groomer in Columbia, South Carolina.